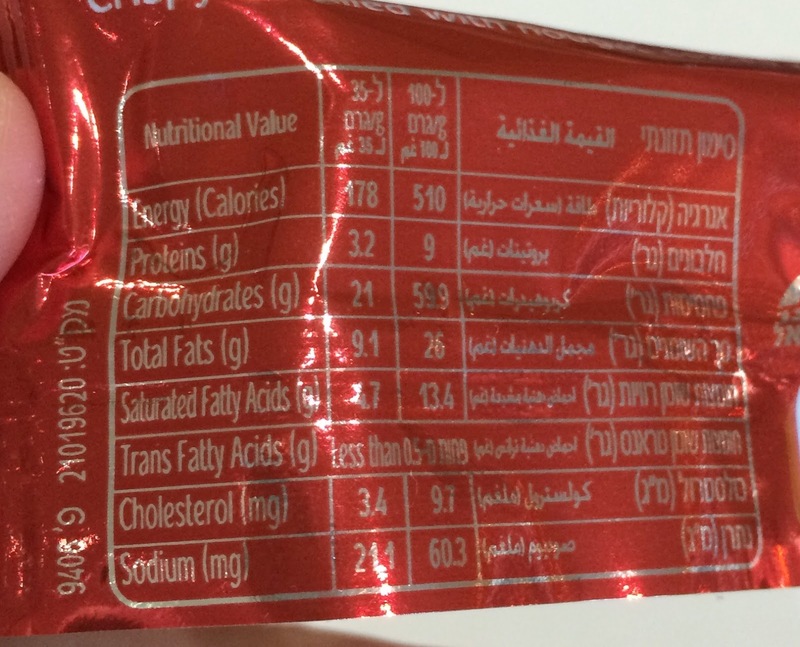 My husband bought this chocolate bar at Ben Gurion airport. 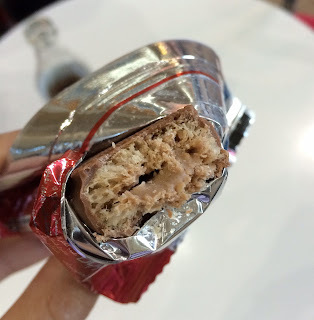 I don't read Hebrew but I could find what it is called in English, and it's "Klik La-Hit Milk Chocolate Bar." 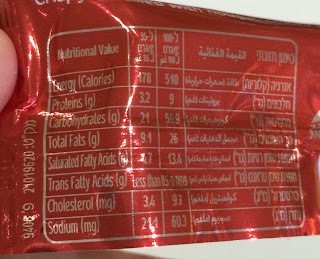 On the side, there're Hebrew and English explanation about this snack. 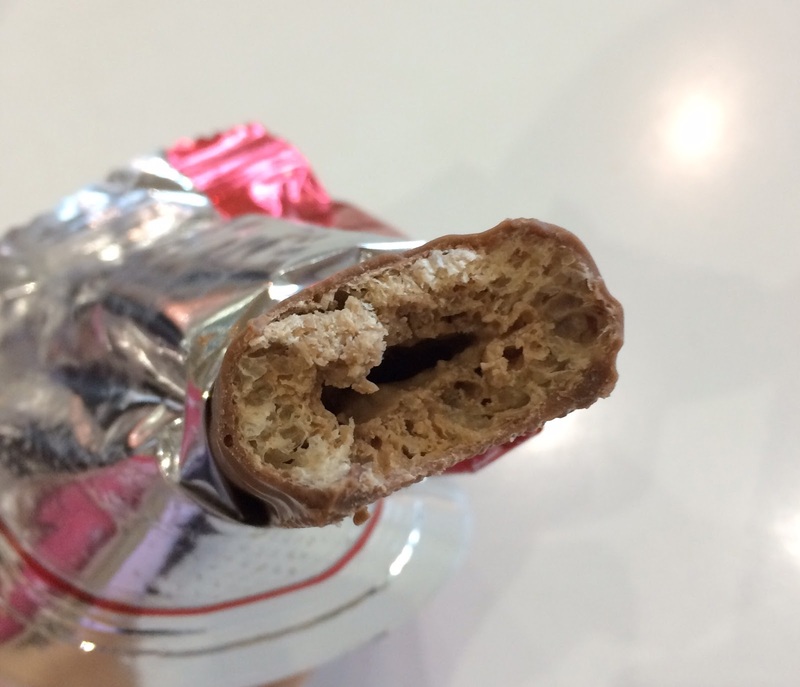 "Crispy bar filled with nougat, coated with milk chocolate." The bar was completely covered in milk chocolate. It's light and crispy, and nougat was coating the inner side of the oval shaped puff. 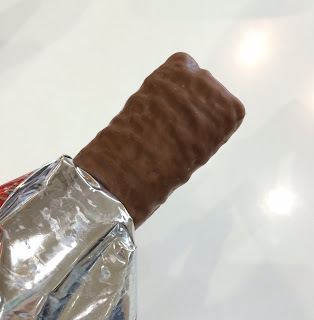 It didn't have sticky texture so that I didn't have to deal with taking them off from the teeth with my tongue.